There were just 6 rounds played in Regular Season of Liga Metropolitana and we can clearly see which teams will fight for top positions and which will try to avoid bottom places. Here is the last round review presented by ESL. The game had a very big importance for second-ranked ELOHIM as it allowed them to take a leadership position. ELOHIM defeated 5th ranked Villa Nueva in Chimaltenango 85-76. It was a good game for point guard Pablo Cano (178-88) who led his team to a victory with 24 points, 7 rebounds, 6 assists and 5 steals. 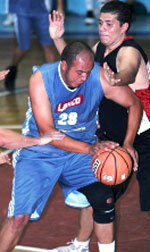 Power forward Oscar Salguero (198-87) contributed with 18 points, 7 rebounds and 4 assists for the winners. 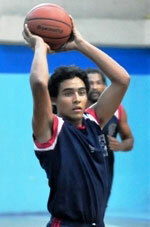 Enrique Samayoa (193-82) replied with 18 points, 8 rebounds and 5 assists for Villa Nueva. ELOHIM have a solid three-game winning streak. As mentioned above they are at the top of the standings, which they share with USAC. Villa Nueva at the other side dropped to the fourth place with two games lost. They share the position with 3 other teams. Villa Nueva will play next round against Club Force trying to get back on the winning streak. ELOHIM will have a break next round, and it should allow them to practice more before next game. Another interesting game for Laminas C. (2-1) which played on the court of Club Force (1-2). Third ranked Laminas C. crushed hosts 88-54. Edwin Ruiz had a double-double by scoring 20 points and 13 rebounds to lead the charge for the winners and Mynor Aquino chipped in 13 points, 8 rebounds, 7 assists and 6 steals during the contest. The best for the losing side was forward Hector Chur (179) with 29 points and 6 rebounds. Laminas C. maintains third position with 2-1 record behind leader ELOHIM. Club Force at the other side keeps the fourth place with two games lost. They share the position with 3 other teams. Laminas C. will play against league's second-placed USAC in Guatemala in the next round and it will be for sure the game of the week. Club Force will play on the road against Villa Nueva and it may be a tough game between close rivals. Another interesting game for Laminas C. (2-1) which played on the court of Club Force (1-2). Third ranked Laminas C. crushed hosts 88-54. Laminas C. dominated down low during the game scoring 58 of its points in the paint compared to Club Force's 10. They outrebounded Club Force 52-23 including a 18-3 advantage in offensive rebounds. Edwin Ruiz had a double-double by scoring 20 points and 13 rebounds to lead the charge for the winners and guard Mynor Aquino (175-89) chipped in 13 points, 8 rebounds, 7 assists and 6 steals during the contest. The best for the losing side was forward Hector Chur (179) with 29 points and 6 rebounds and Carlos Sandoval (-0) scored 9 points and 6 rebounds. Laminas C. maintains third position with 2-1 record behind leader ELOHIM. Club Force at the other side keeps the fourth place with two games lost. They share the position with 3 other teams. Laminas C. will play against league's second-placed USAC in Guatemala in the next round and it will be for sure the game of the week. Club Force will play on the road against Villa Nueva and it may be a tough game between close rivals. The game had a very big importance for second-ranked ELOHIM as it allowed them to take a leadership position. ELOHIM defeated 5th ranked Villa Nueva in Chimaltenango 85-76. It was a good game for point guard Pablo Cano (178-88) who led his team to a victory with 24 points, 7 rebounds, 6 assists and 5 steals. 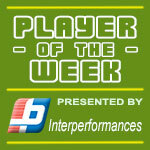 Power forward Oscar Salguero (198-87) contributed with 18 points, 7 rebounds and 4 assists for the winners. Enrique Samayoa (193-82) replied with 18 points, 8 rebounds and 5 assists and power forward Juan-Carlos Ubico (194-80) added 14 points, 11 rebounds and 4 assists in the effort for Villa Nueva. Four ELOHIM and five Villa Nueva players scored in double figures. ELOHIM have a solid three-game winning streak. As mentioned above they are at the top of the standings, which they share with USAC. Villa Nueva at the other side dropped to the fourth place with two games lost. They share the position with 3 other teams. Villa Nueva will play next round against Club Force trying to get back on the winning streak. ELOHIM will have a break next round, and it should allow them to practice more before next game.